Staple! The Independent Media Expo is Celebrating Twelve Years in Austin! I have lived in Austin, Texas for almost seven years now. Six of those years I have been going to my favorite local convention Staple: The Independent Media Expo. I love is so much that for the third year in a row, I’ll be volunteering at the show. If you haven’t heard of it and you’ll be in town on March 5th and 6th, come join us! STAPLE! 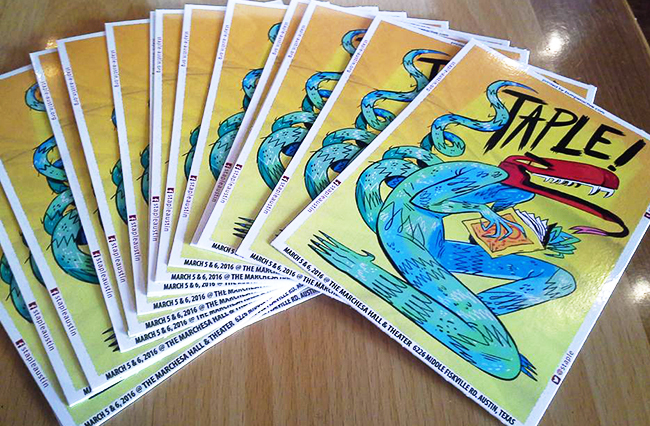 is a quickly growing convention located in Austin, Texas that has been bringing the best of independently produced comics, zines, art, crafts, and games and more to local fans. 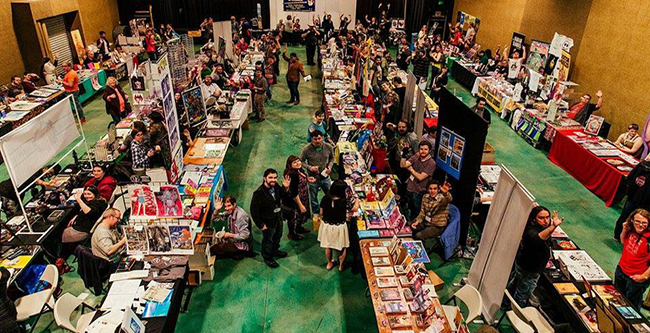 This year, there will be over 150+ exhibitors of comics, zines, art, crafts, games and more! There are events and workshops and live podcast recordings throughout the day and live screen-printing of the annual STAPLE t-shirt. 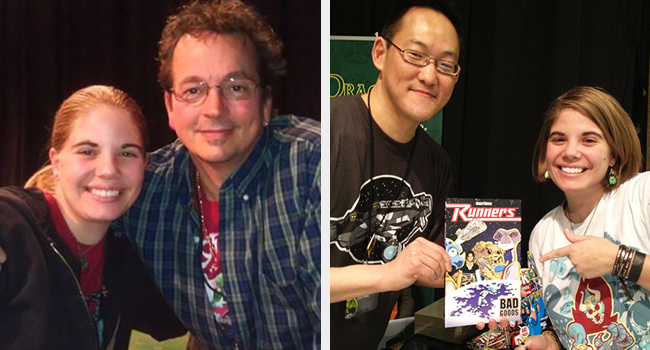 Some of my past highlights: meeting Kevin Eastman, mastermind behind Teenage Mutant Ninja Turtles, and interviewing Sean Wang, the creator of Runners. I’ve also met some other amazing artists like Kate Leth, E.K. 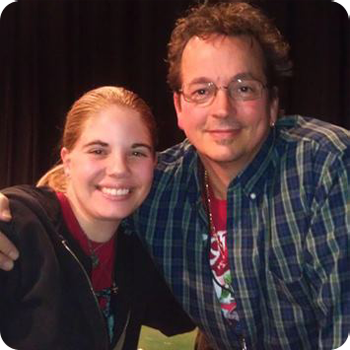 Weaver, Jamie Kinosian, and so many more. Last year there was also a really stellar panel about queer diversity in the gaming industry with folks from my favorite Bioware. There is always great things happening at STAPLE! and this year is no different. Who are the Guests this year? There are some fantastic and talented creators coming out for this year’s STAPLE! Four time Eisner Award winner Gene Ha is the artist of books like Fables, Justice League, Cyclops & Phoenix, and Oktane. Emily Carroll is probably best known for her short stories collection Through the Woods and her gorgeous illustrations. C. Spike Trotman runs Iron Circus Comics, Chicagoâ€™s largest comics publisher, and puts out some pretty awesome Kickstarters. Danielle Corsetto is the creator of Girls With Slingshots and has written three Adventure Time graphic novels. These are just a few of the guests that will be showcasing at STAPLE! You can read up on who else will be there on STAPLE’s Guests page. There will also be TONS of exhibitors showing off their work. You can find the whole list on STAPLE’s Exhibitors page. Interested in attending? Great! Here’s the scoop. On Friday (the 4th), there will be a pre-party out at Austin Books and Comics starting at 8pm. On Saturday, the expo officially opens at 11am and there will be workshops, tutorials, panels, interviews and more until they close down at 6pm. On Sunday, the show starts at 12pm and goes to 6 as well. And throughout the whole thing there are two rooms full of vendors for your to peruse to your heart’s content. The complete STAPLE! schedule can be found on their site. Tickets aren’t sold online, so just head out and purchase them at the door. $10 for a day pass, $15 for both days. On Saturday only there is a Student/Military discount: two-day pass for $10 with valid student or military ID. This is a test comment. This is a test comment. This is a test comment. This is a test comment. This is a test comment. This is a test comment. This is a test comment. This is a test comment. This is a test comment. This is a test comment.